This is a custom bathroom vanity sized to fit client's bathroom, it is made of Sapele and Peruvian Walnut. It has 6 drawers 3 on each side. 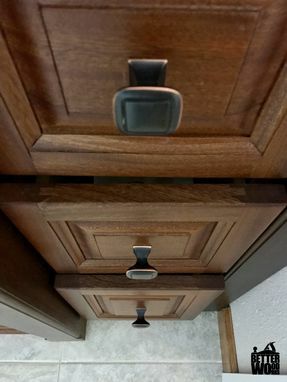 There are 2 doors that open in the middle for storage. Lights underneath also showcase this beautiful piece. 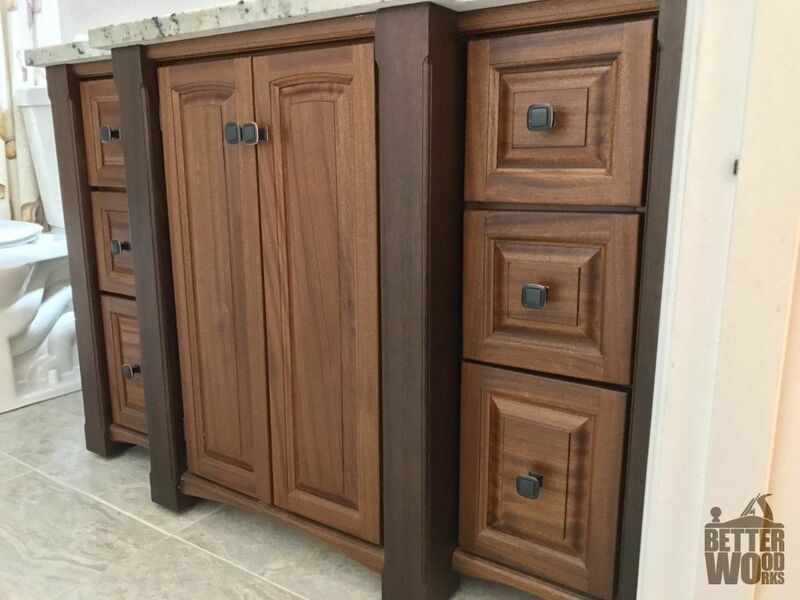 The front facing drawers have a raised panel, the side panels are also raised. Handmade to order in SC. Send us a message to discuss options and get a price quote.